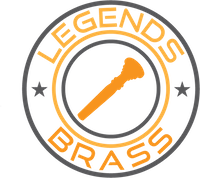 Legends Brass Blanks: Which one should you choose? Legends Brass ships worldwide via USPS Priority Mail and USPS International Priority Mail. Shipping is free inside the USA. International shipping charges are generally around $45. This does not include any tariff or customs charges, as those will be the buyer's responsibility. Payment by PayPal is preferred for USA and required for international shipping. Payment must be received immediately. We ship only to confirmed PayPal addresses. PayPal is preferred for orders within the United States. PayPal is required for international orders. Any item can be returned. It must be in new condition (no exceptions). The buyer must pay return shipping plus a 20% restocking fee. Return shipping must be by USPS Priority Mail or USPS International Priority Mail. The customer will receive a refund (price paid for the item minus restocking fee) within 48 hours of delivery of the returned item, if the item is confirmed to be in satisfactory condition. Customer satisfaction is our highest priority, however this strict return policy is necessary in order to keep our prices low. Unfortunately, some people buy mouthpieces just to try them, with no intention of keeping them. Once returned, these mouthpieces must then be sold at a discount as 'demo' or 'used' pieces. The restocking fee is meant to discourage this. However, we will work with serious buyers to the extent possible to make sure in advance that your questions are answered and you are comfortable that you are purchasing a mouthpiece that will be satisfactory to you! Custom designs (mouthpieces, tops, and backbores) are final sales and cannot be returned or refunded for any reason due to the personalized nature of these pieces. Where will Legends Brass ship? Legends Brass ships worldwide via USPS Priority Mail. If the product you order is in stock, it will usually be shipped within 24 hours. USPS Priority Mail delivers in 3-5 days. If you order a product that is not in stock in either gold or silver plate, we will make it to order. This usually takes 8-10 weeks. If you also want gold plating, it will add two more weeks, for a total of 10-12 weeks. Can I join the mailing list? Of course! Just send us your email address using the contact form on the home page. We contact our customers occasionally with special discounts. And of course we never share or sell your contact information!